Based on WHO data published in 2014, liver disease is the 14th top cause of death in the Philippines. The National Kidney and Transplant Institute (NKTI) data shows that in 2005, Philippines Cancer facts and Estimates reported that 7,477 Filipinos died of liver cancer second to lung cancer (26.7)% with an estimated annual death of 15,881. In a story published in Rappler last February 2014, liver cancer is one of the deadliest forms of cancer, as it is the 3rd leading cause of cancer-related deaths. Globally the ratio is at .95, which implies that 95 out of 100 persons with liver cancer have chances of dying. These facts don't lie. But the sad fact is that the average medical cost of liver-related illness is expensive for the middle-class Filipinos. Given the rising cost of medical and health services, and pharmaceutical products in the country as compared to other Asian countries like India, Taiwan and Thailand, many Filipino families seek medical attention abroad. 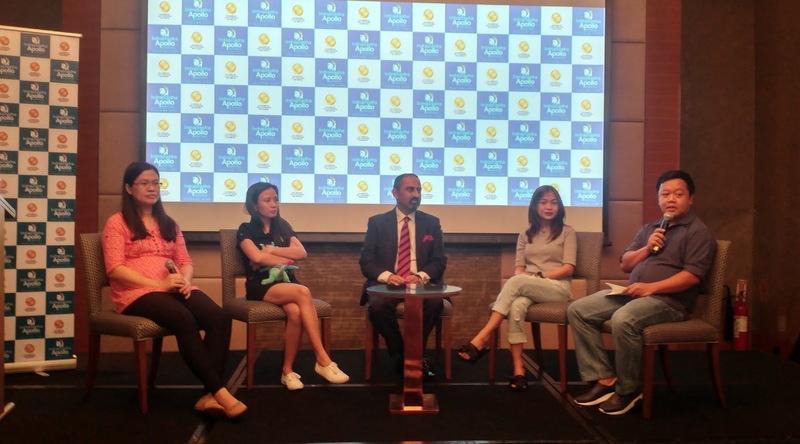 The search of several Filipinos to find affordable medical services have led them to Indraprastha Apollo Hospitals, Delhi. In the last few months, this hospital has performed several pediatric liver transplantatiom for Filipino children. 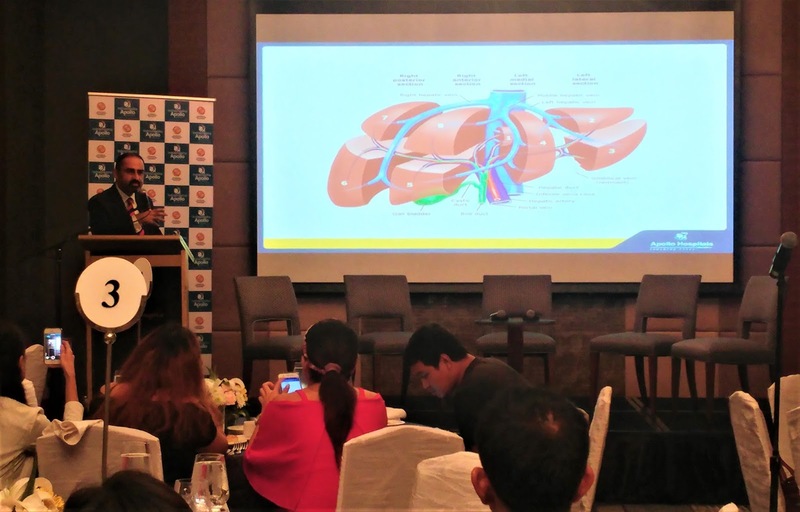 To spread awareness on the importance and urgency of liver transplant in babies born with the congenital liver disease, Indraprastha Apollo Hospitals held a press conference last November 22, 2017 at the Shangri-la Makati hotel. Present in the press con is Dr. Anupam Sibal, Group Medical Director, Apollo Hospitals Group and Senior Pediatric Gastroenterologist and Hepatologist from Indraprastha Apollo Hospitals. Filipino patients and their families also attended the event to share their true-to-life experiences. "Our transplantation success rates are comparable to the centers in many developed countries which is truly a credit to the excellent team at Apollo that adheres to the highest standards of clinical care. The Apollo transplant Program does not only cater to the domestic needs but also to patients from 44 other countries as far as Bolivia, Kenya, and Saudi Arabia," explains Dr. Sibal. 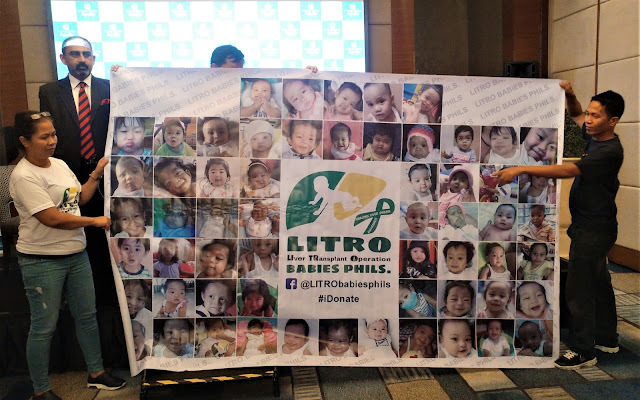 "We are privileged to offer hope to babies and children from the Philippines. The support structure in the Philippines for families is remarkable with parents supporting each other. The support from foundations and support groups is truly exemplary. The "pay it forward" culture is so heartwarming and I have not seen this in other countries," he added. Baby Jermaine, a one-year-old baby girl who was advised a liver transplant due to advanced liver failure. She had been admitted multiple times due to blood vomiting. Through the help of the LITRO group, they were able to raise funds for Jermaine's operation which was successfully done at Apollo Hospitals. Now, Baby Jermaine has fully recovered from the transplantation. Baby Nathaniel was diagnosed with Caroli disease, a rare congenital disorder of the intrahepatic bile ducts. The family flew to India on June 26, 2017, and Baby Nathan underwent liver transplant on July 6, 2017. He was successfully operated and was discharged after 3 weeks. Two months later, August 25, 2017; they flew back to the Philippines. Baby Kalen was noticed having signs of liver disease at 2 months due to the yellowish skin. Kalen's parents found out about Indraprastha Apollo Hospital through the internet. Last August 2017 they went to India for Kalem's liver transplant. He stayed in the ICU for 11 days before he finally shifted to a regular room. Today, Baby Kalem is still having his medication and weekly check-ups here in the Philippines. Baby Genesis developed pneumonia after birth. While confined in the hospital, he developed worsening jaundice and was diagnosed with biliary atresia. Luckily, his parents find the way to Indraprastha Apollo Hospital for his transplant. he is now on his way to a full recovery. Indraprastha Apollo Hospitals is India's first JCI accredited hospital and is a joint venture between the government of Delhi and Apollo Hospitals Enterprise Limited. It is the 3rd super-specialty tertiary care hospital set up by the ApolloHospitals Group in July 1996. The hospital is at the forefront of medical technology and expertise. It provides a complete range of latest diagnostic, medical and surgical facilities for the care of its patients. To know more about Apollo, visit https://delhi.apollohospitals.com/. What Legacy would you want to leave?